36 years have already passed by since Michael Aldrich invented online shopping in 1979. A lot has changed since that time. Aldrich’s transaction processing computer was replaced by the internet, delivery time shrunk from weeks to hours and the online payment practically ousted cash on delivery. The way products are presented online have undergone an immense change, as well. 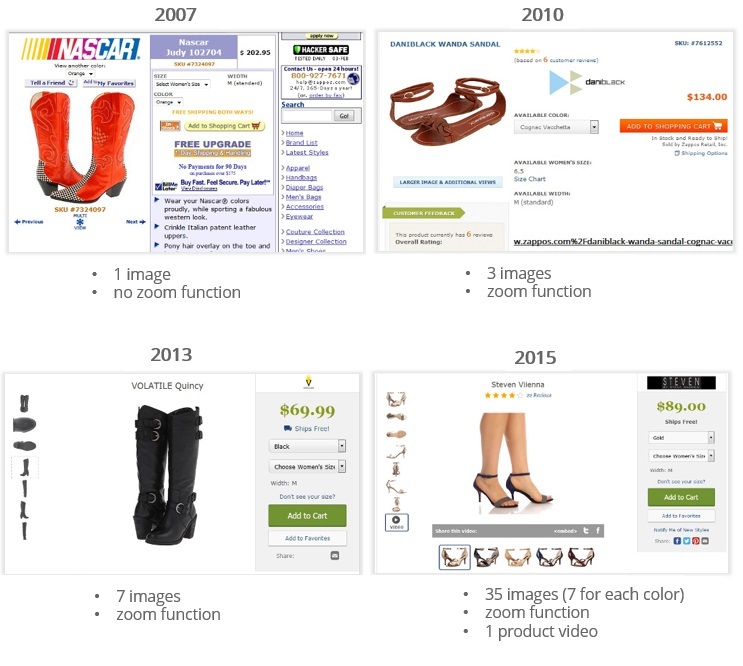 Let’s follow the amazing evolution of product visualization on the example of three online shopping giants: Walmart, Zappos and Apple. Buying on Zappos in 2007 was definitely a risky business. One small picture that couldn’t be enlarged isn’t enough to present the product decently. Though it seems obvious for us now, it took Zappos some time to realize that their product visualization flounder. It was 3 years later when 3 images with zoom option became a standard for Zappos. Well, sadly some shops stopped on this stage… But not Zappos! In 2013 few high-resolution pictures that showed product form all possible angles were to be seen on every product page. And that’s not all. Independently produced product videos have also already been present on some of them. Today Zappos provides its customers with multiple pictures and product videos for most of their products. With such comprehensive product visualization, it’s no wonder that CNN announced that Zappos has become one of the world’s largest online shoe stores. In 2005, five years after Walmart online started, its product page looked rather unimpressive. Surprisingly, three year later, it didn’t change at all: consumers were still forced to assess the product based on one image (well, at least it could be enlarged). When we move 5 years in time, it still doesn’t look impressive: 3 zoomable pictures. It seems that in 2013 Walmart just reached the point Zappos was already occupying three years earlier. Let’s admit it, Walmart’s product visualization evolution was progressing very slowly. And then suddenly: boom! It’s 2015 and Walmart product page amazes: 34 images for one product and not one, but 5 various product videos. If American giant continues following that path, its strong position on the market isn’t likely to change. 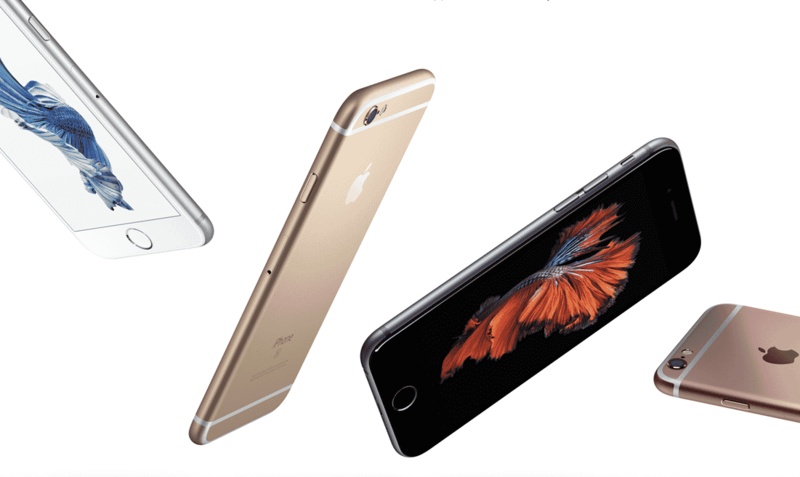 Nowadays, Apple is considered a master in terms of product visualization. And though, its beginnings may look funny for us now, in 2001 Steve Jobs and his people were already years ahead before the competition. 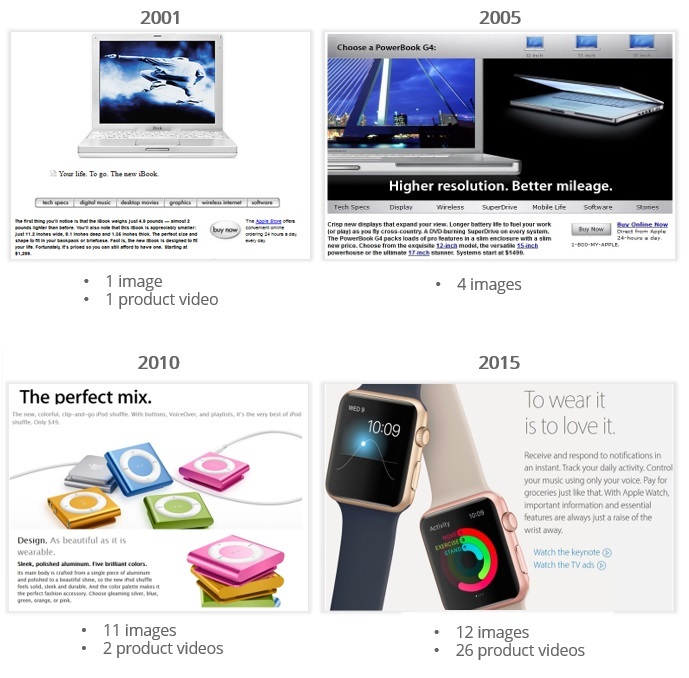 The number of images in 2001 may not be impressive, however, it’s worth noticing that product videos were accompanying Apple products earlier than any other brand or shop. 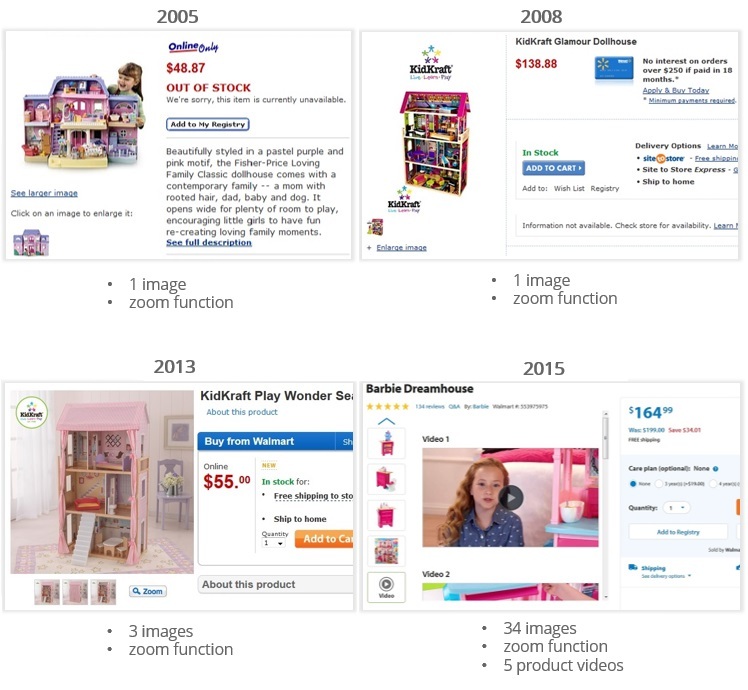 While in 2005 and 2010 the number of images increased, videos temporarily disappeared from product pages. The number in which they reappeared is absolutely stunning: 26 various product videos! It’s also has to be mentioned that 12 is not the total number of images. More of them, also 360-degree type, can be watched in a separate product gallery. Even if you’re not Apple’s fan, you have to admit that Apples approach to product visualization is absolutely impressive. After seeing how immense changes has product visualization undergone for these few years, the question we are all asking ourselves is: “What comes next”. Well, I can’t wait to see. This article was written by Thomas Muller from Business2Community and was legally licensed through the NewsCred publisher network.